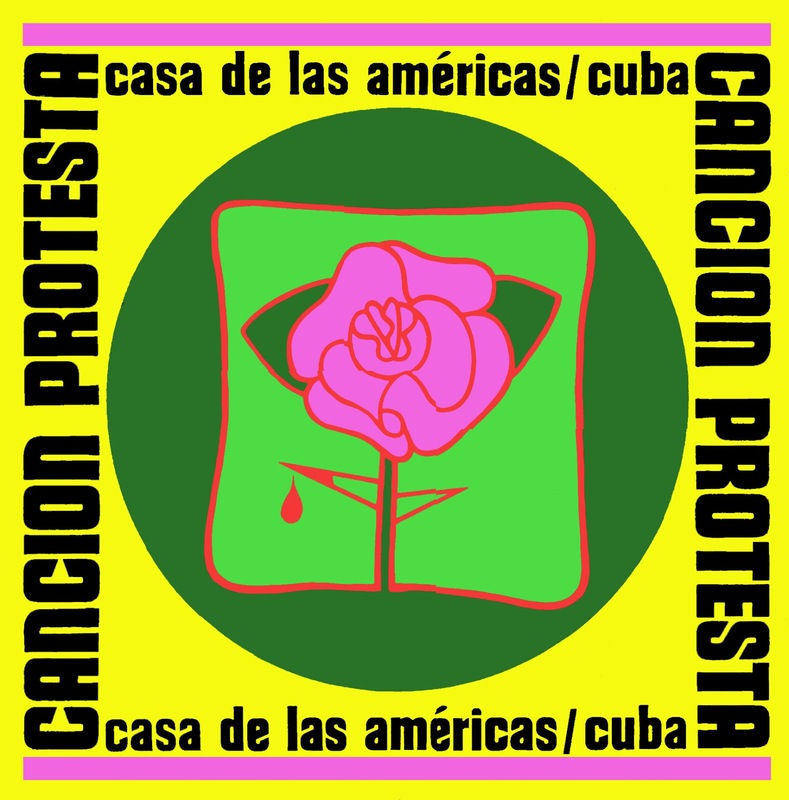 The term "nueva canción" was first mooted in public at a key event which took place in Cuba from 29 July until 10 August 1967: the "Encuentro de la Canción Protesta". 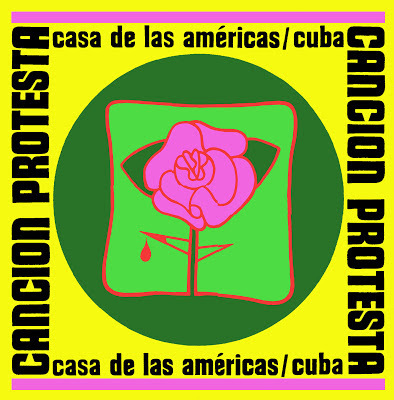 This first international meeting of artist performing protest songs was organized by the "House of Americas". Fifty musicians from eighteen countries were given the opportunity to hear each other perform, exchange ideas and experiences, discuss the role of singer and song and establish friendships and contacts. Artist from four continents were brought together at a time of political upheavel in different parts of the world. The appearance of Gerry Wolff, film actor and singer in the GDR, is another clue for the connection between the GDR song movement ("Singebewegung") and international revolutionary artists as mentioned before in the "Canto Libre" posting. 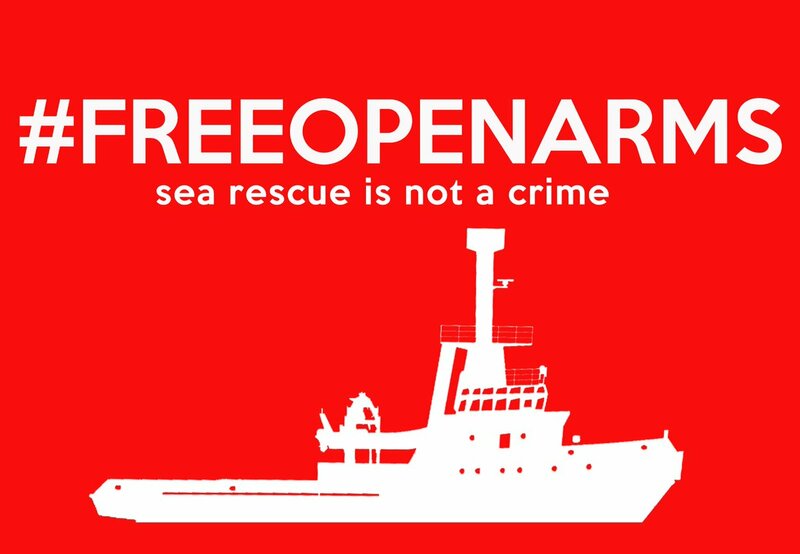 Daniel Viglietti, who participated in those days, said that "the meeting was an opportunity to discover that if you had fallen into the error of thinking we were alone, we were not alone". Singing in many languages, artists from all around the world expressed solidarity with the oppresed people and their fight for a better world. The various stages reached in the development of movement in individual countries with different economic, social and political conditions and musical cultures had resulted in the usage of different terms: "Canción protesta", "canción comprometida", "canción politica revolucionaria" and "nueva canción". Other names used before and after include "canción folklórica", "cancion popular", "canción politica", "canciones de lucha y esperanze", "canto libre" and "canto nuevo". Musicians, especially those who are members of, or allied to, the Communist Party, met intermittently before and after the Cuban "Encuentro" at Youth Festivals held every four years in the Socialst countries, as they also do at "International Festivals of Political Songs" held annualy in the GDR, at "Victor Jara Festivals", "Concert for Peace", various solidarity concerts and more recently "Nueva Canción" and "Canto Nuevo" Festivals held in Latin America. At the Cuban meeting, an "Encuentro", not a Festival, it was resolved that song should play an important role in the liberation struggles against North American imperialism and against colonialism, as it was agreed that song possessed enormous strength to communicate with the people and break down barriers, such as those of illiteracy, and taht in consequence it should be a weapon at the service of the people, not a consumer product used by capitalism to alienate them. Protest singers (as they continued to call themselves despite the debate) should be engaged in a constant enriching search for artistic quality, in itself a revolutionary activity. They should work amongst their people, confronting problems within their societies. For some of those involved this merely reflected what they wer doing already.